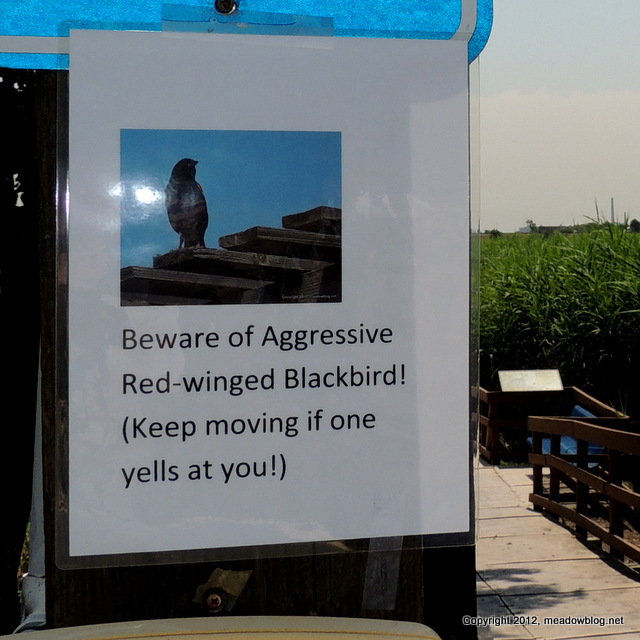 We have placed a temporary sign at the beginning of the boardwalk warning folks that the bird is aggressively guarding his turf (and nests), and to keep walking when they see a male Red-winged perched nearby — no need to stress out the bird any more than he is already. This is the second summer in a row that we have seen this behavior at this point on trail. 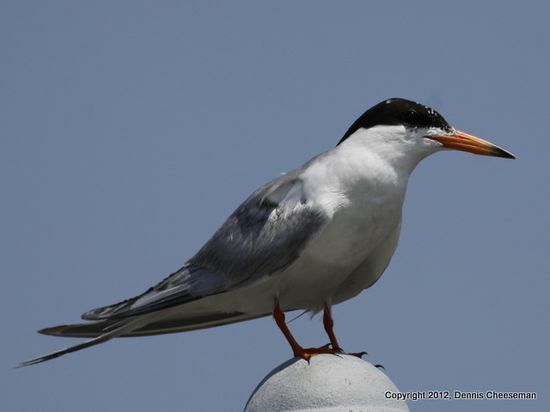 Julie McCall suggests calling the bird "the Defender." How about "Dennis the Menace" instead? We have been getting reports of yellowlegs, Least Sandpipers, Spotted Sandpipers and Short-billed Dowitchers this week at DeKorte Park. 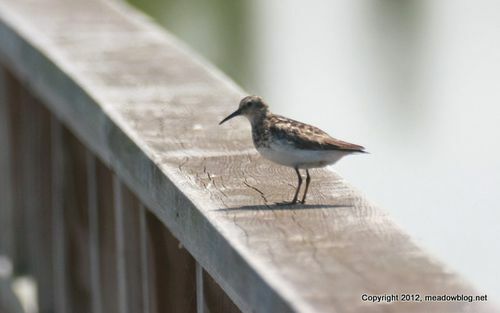 We saw a Least Sandpiper and a Spotted Sandpiper (literally) on the Marsh Discovery Trail yesterday. 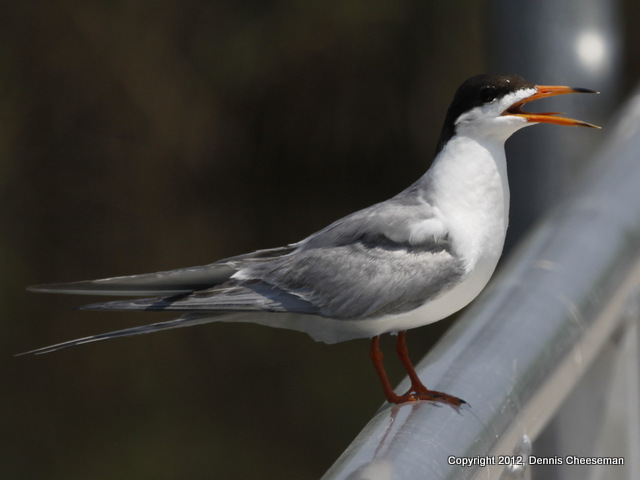 Jim Wright, who keeps this blog for the N.J. Meadowlands Commission, aslo writes a column twice a month for The South Bergenite. His latest, on taking a pontoon-boat cruise of the Hackensack River and its marshes, follows. 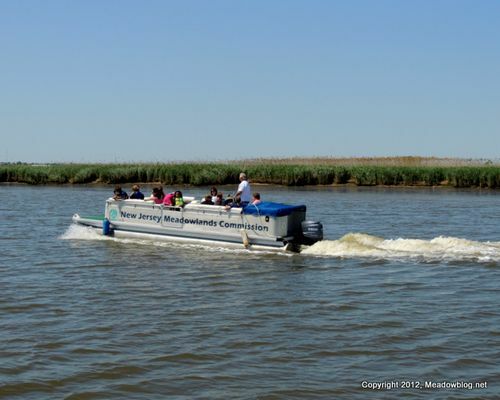 If you are looking for a great local escape this summer, consider a guided pontoon-boat cruise of the Hackensack River and its marshes are the answer. These cruises are a great way to see nature up-close. In fact, this summer has been a record season for osprey nests in the Meadowlands. 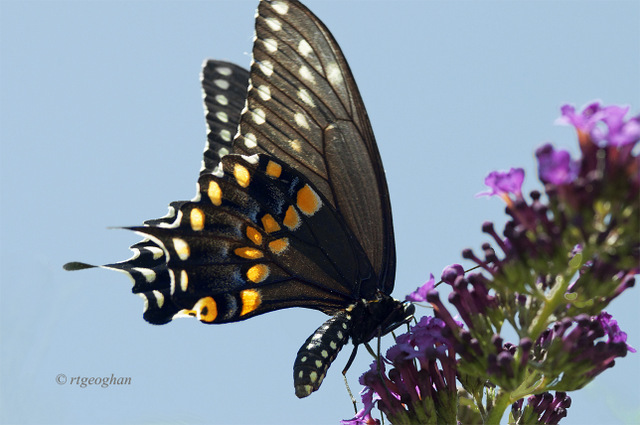 In 2006 and the decades before, the region had no nesting pairs of this threatened species — the result of the overuse of the pesticide DDT. 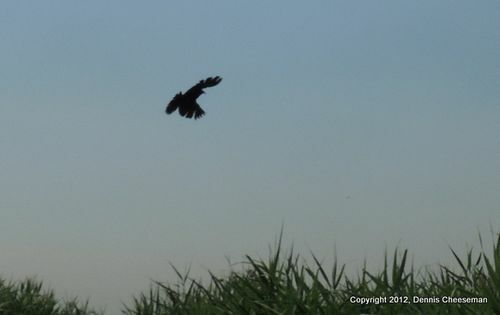 Fast-forward to last year, when three pairs nested along the river.